After disappearing under the movie radar for a year, the Chinese actress, last seen in The Banquet, now stars in a new mystery thriller. IT has been a year since moviegoers have seen China-born actress Zhou Xun on the big screen. After her last outing in last year’s period epic The Banquet, starring opposite fellow Chinese actress Zhang Ziyi and Hong Kong-based actor Daniel Wu, she took a break from films to recharge. The 30-year-old is back in action, acting in a mystery thriller Li Mi De Zao Yu (Li Mi’s Encounters). Zhou Xun on her character in The Banquet: ‘In her era, she could not choose how to live her life. I’m glad that I have a choice.’ In the indie directed by newcomer Cao Baoping, she plays a cabby whose boyfriend goes missing, only to realise that he is a drug trafficker. 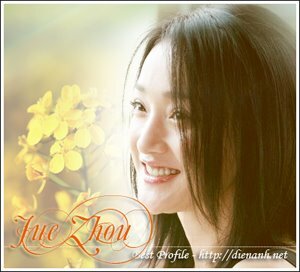 Over the phone from the set in Yunnan, China, recently, Zhou’s deep, sonorous voice is clear and bright. “The title of Li Mi’s Encounters intrigued me – what kind of encounters did she have? That made me want to go back to the movies.” The year’s hiatus has not been really a holiday, she laments. For the past year, besides reading scripts, Zhou, one of China’s hottest actresses, has also travelled to cities such as Barcelona and Paris for fashion events and magazine shoots. She remarks: “As an actress, the line between your work and your life is blurred. You are on holiday, but because of the nature of the job, you attract attention.” Because of her frequent travels to Europe, rumours have surfaced that she secretly married her boyfriend of three years, Taiwanese stylist Li Da-chih, 37. Born in Zhejiang, the graduate of Zhejiang Arts Institute made her film debut with Inside an Old Grave (1991), a made-in-China horror movie. However, it was not until she starred in Chinese arthouse director Lou Ye’s film noir Suzhou River (2000) that critics sat up and took notice. Her fame soared in 2002, after she played the spunky heroine Huang Rong of novelist Louis Cha’s wuxia stories in the drama serial Legend of the Condor Heroes. The Chinese media then dubbed her – together with actresses Zhang, Vicki Zhao Wei and Xu Jinglei – as one of the four most promising female stars in the country.